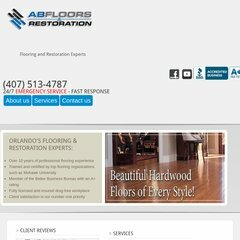 Topics: Residential Flooring, Commercial Flooring, Hardwood Flooring Refinishing, Hospitality Flooring, Property Management, and Commercial Tile Regrouting. It is hosted by American Registry For Internet Numbers (Virginia, Chantilly,) using Microsoft-IIS/7 web server. It has 2 DNS records, ns33.domaincontrol.com, and ns34.domaincontrol.com. The programming language environment is ASP.NET. PING (97.74.214.64) 56(84) bytes of data.